Working in partnership with patients to achieve optimal nutritional status, regardless of their underlying condition, is an important aspect of nursing care. This article examines malnutrition and diabetes mellitus, which are two common conditions that can have significant implications for patients’ health and diet. It emphasises that, when managing patients with malnutrition or diabetes, nurses should undertake careful assessment of their nutritional requirements, tailoring interventions to the individual and involving family and carers where appropriate. 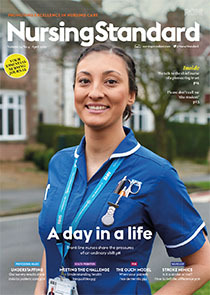 It is also important for nurses to work with other members of the multidisciplinary team, notably dietitians, who can provide specialist dietary advice and support.